Many in the community of Palestinian citizens would like to see themselves as an integral part of Israeli society that has its own Arab and Muslim culture and roots. The problem is that Israel has never seen them as such. JERUSALEM, PALESTINE — (Analysis) Khaled and I sat and chatted one evening at his family’s home in Qalansawe. “They look at us as though we are completely Israeli,” he said, speaking of Palestinians in the West Bank and Gaza, “and we call them ‘Dafawi’ if they are from the West Bank and ‘Ghazzawi’ if they are from Gaza.” Khaled is a successful man, one of the few Palestinian citizens of Israel who became an executive in an important Israeli company. When he talks about himself and the community of the Palestinian citizens of Israel, he uses the Israeli terms “Arviyey Israel,” which means the Arabs of Israel, or “The Arab Sector.” Qalansawe is a Palestinian town of 23,000 in the “Muthalath” or Triangle area, an area just west of the West Bank town of Tul-Karem. There is a relatively large concentration of Palestinian towns in that area, which became a part of Israel when the borders were drawn after 1948. It is called the Triangle because of the three main cities of Taybe, Tire and Qalansawe. Municipal elections are due to take place in Qalansawe in October 2018. Ma’aruf is considered one of the leading candidates for the post of mayor. He is a retired high school principal with a reputation of a guy that gets things done. If he is elected, he faces problems that characterize all Palestinian towns that became a part of Israel: water and electricity shortages; no urban planning; no infrastructure; never-ending land confiscations by the state, which are then diverted to build primarily for Jews; no enforcement of city ordinances or the law in general; high crime rates and poverty rates; and, even though there is no shortage of college graduates, high unemployment. Unlike in the U.S., where each city has its own police force, Israeli police are a national police force and reluctant to intervene in crime in Palestinian towns. This means that the mayor has no means of enforcement, and because of a complex bureaucratic reality, which he explained to me and I was unable to comprehend, in Qalansawe the mayor cannot even hire inspectors to enforce city ordinances. So it’s chaos and, since weapons are easily accessible, the strongest prevail. Water and electricity are cut off for several hours each day — most likely by Mekorot, Israel’s water authority, and by the Israeli electricity authority. So the homes in Palestinian towns must have a reserve tank on the roof in which to store water. Khaled has one too on the roof of his beautiful home. He told me that he needed to buy a floating device like the ones used in a toilet tank to indicate when the water reaches a certain level. He went to a hardware store in an Israeli Jewish town and asked for one. “What kind of place do you live in that you need that sort of thing?” the man at the store asked. “The difference between Jews and Arabs,” Khaled concluded: Jews have no need for this sort of thing because in their homes the water never stops running. Khaled and I talked about the upcoming municipal elections and about the Palestinian members of the Israeli parliament, the Knesset. He said what many people in this community say: “they should stick to domestic issues like housing and crime and stay away from foreign affairs — particularly the Palestinian-Israeli issue.” Many in the community of Palestinian citizens would like to see themselves as an integral part of Israeli society that has its own Arab and Muslim culture and roots. The problem is that Israel has never seen them as such. Their existence is a testament to the failure of the campaign of ethnic cleansing that began in 1948. “The Palestinian issue is a domestic issue to Palestinians,” I said to Khaled; “it is at the heart of their existence. The root cause of the problems that exist in Gaza and the problems that exist in Qalansawe is the same. You are no less occupied than the Dafawiand the Ghazzawi Palestinians.” He gave me a disappointed look and I could sense that deep down he knows this is true but wished I would prove him wrong. In Palestine there is no shortage of days and events to commemorate. Begin with the Nakba — the catastrophe that befell Palestine in 1948 — with the massacre at Deir Yassin that was a part of that campaign, and the massacre at Kafr Qassem that was an extension of that campaign intended to bring about a mass exodus of Palestinians from Palestine from the “Triangle” area into Jordan. Then the war of 1967, or the Naksa, which is often referred to as the war that changed the face of the Middle East but in fact solidified and legitimized Israel’s 1948 conquests. These are merely for starters. There are many, many more days and events filled with horror for Palestinians to commemorate and it seems like new ones come up every day. So much so that it is almost impossible to dwell on one event, to thoroughly discuss and understand it because there is a new one, a more current one taking place. It has also been recorded that the Israeli army had made plans to occupy the West Bank as early as 1958 and then again in 1964 and to extend the Israeli military rule that was in place already in other parts of Palestine to the West Bank, (Ilan Pappe, The Forgotten Palestinians). The conquest of the West Bank, East Jerusalem and the Gaza Strip were not the “spoils of war” but the result of a premeditated campaign. Then, once these areas were taken by the army, the Israeli government went in very rapidly and began to push out the Palestinian population, and make life unlivable for those who remained. And they built massively for Jews only, making these territories an inseparable part of Israel. After the war, my father, Matti Peled — who was a general by then and a member of the Israeli army high command during the war, retiring a year later — Uri Avneri, and several other staunch Zionists began talking about a revised version of the 1947 UN Partition Plan, which called for the creation of two states in Palestine. Their version, however, was far more favorable to Israel and would legitimize the otherwise illegitimate conquests of 1947- 48. It was the idea of the Two States where the Palestinians would recognize the state of Israel in the post-1948 boundaries and accept a small, weak state for themselves in the West Bank and Gaza Strip. The Israeli establishment, both military and political, viewed this idea with disdain. The people who were behind this idea, who were all staunch Zionists with impeccable records, were pushed aside and marginalized for suggesting that any recognition should be granted to the rights of Palestinians to the land. “They say we are a strategic threat, a fifth column,” Khaled admitted with regret; “some people even call for the transfer of the entire community out of the country.” According to a poll conducted in Israel in 2008 and published in the Israeli daily Ma’ariv, 75 percent of Israelis believe that Palestinian citizens of Israel should be forcefully transferred out of the country. In a statement he made in the spring of 2017, Israeli Defense Minister Avigdor Lieberman stated that “the only way to reach a sustainable solution is land swaps and population transfers as part of a general regional agreement,” thus giving the government’s seal of approval to the already prevalent idea that the community of close to two million Palestinian citizens of Israel can be placed on trucks and removed. No matter how hard Palestinians try, as long as Palestine is occupied things will not change for the better. The finest people can run for mayor and the cities will continue to be in disarray; the most talented youth can get degrees in education and they will not be given teaching jobs in Israeli Jewish schools. 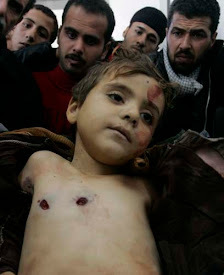 People in Gaza can protest or remain at home but, as the last seven decades have shown, they will be killed either way. They may be shot or they may just die from thirst or other causes that are easily preventable. Whatever differences exist among Palestinians, it is crucial that the line that connects all of Palestine is not broken and must be strengthened. In order for Palestine and its people to be free, we must all stand united against the seven-decade-long occupation.